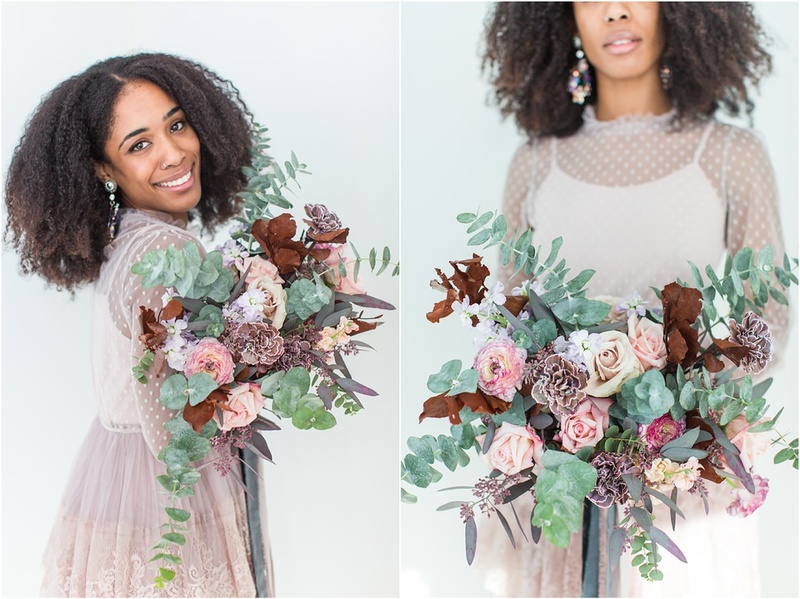 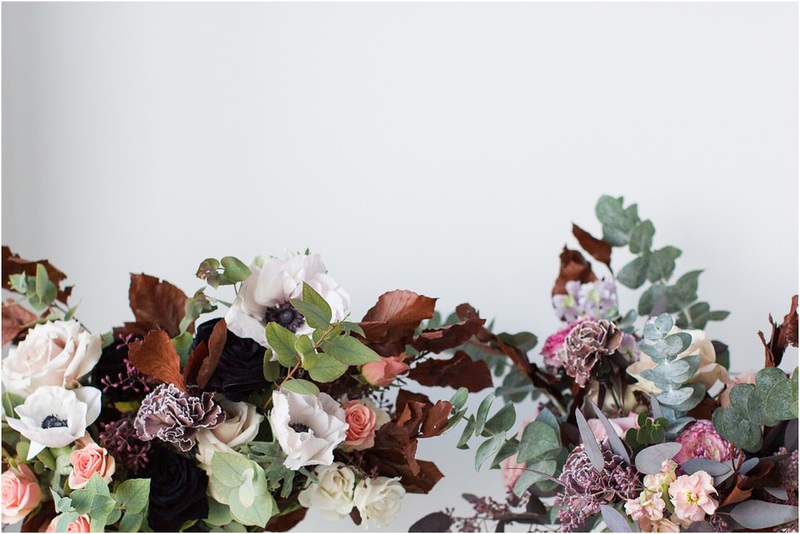 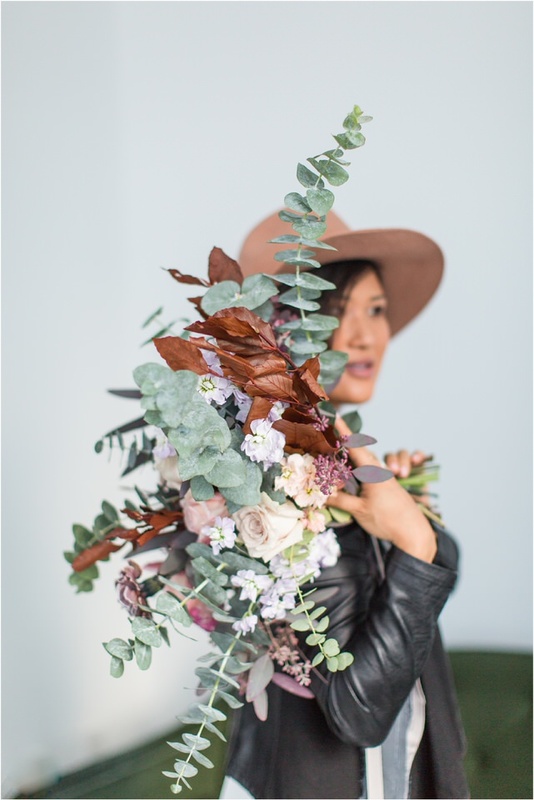 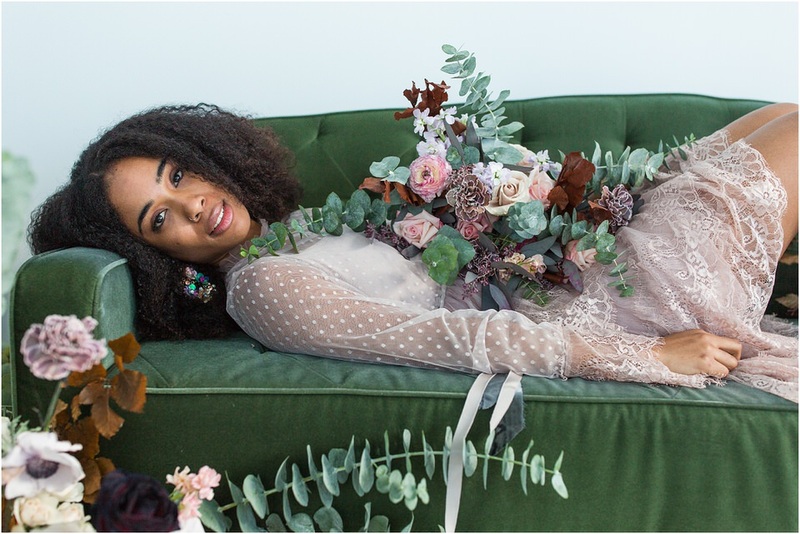 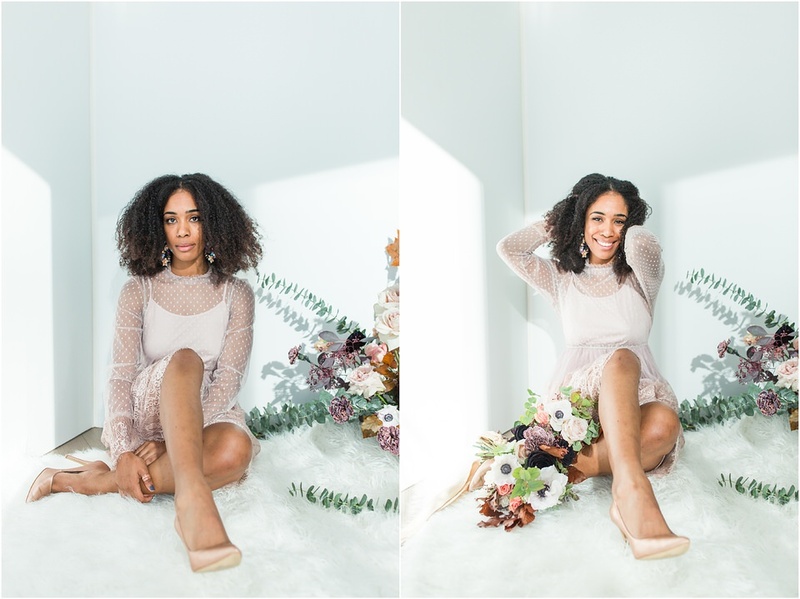 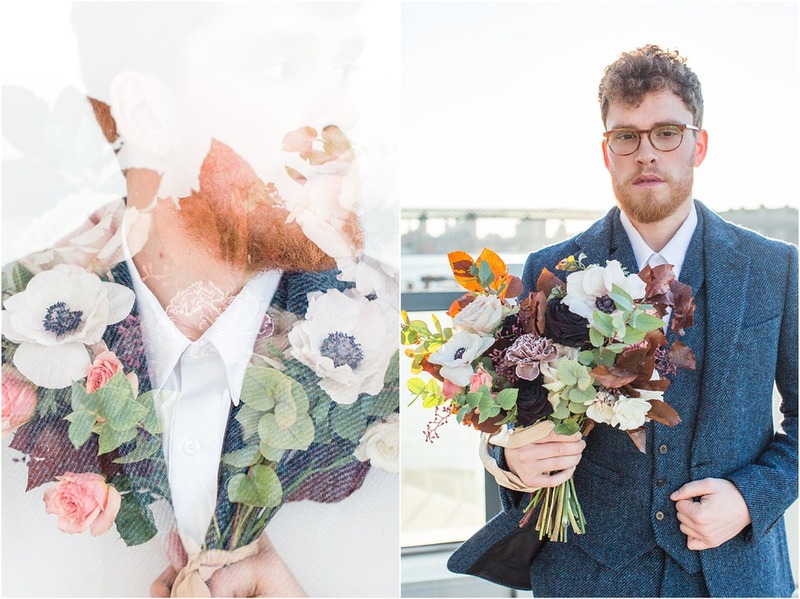 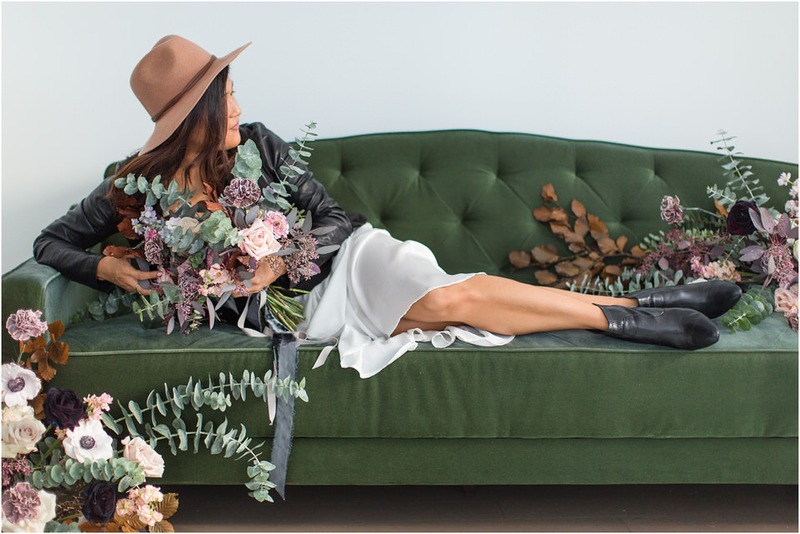 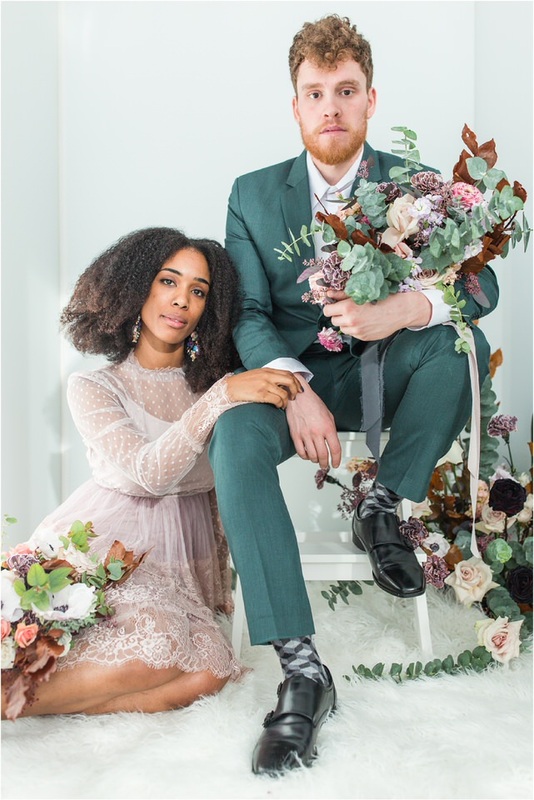 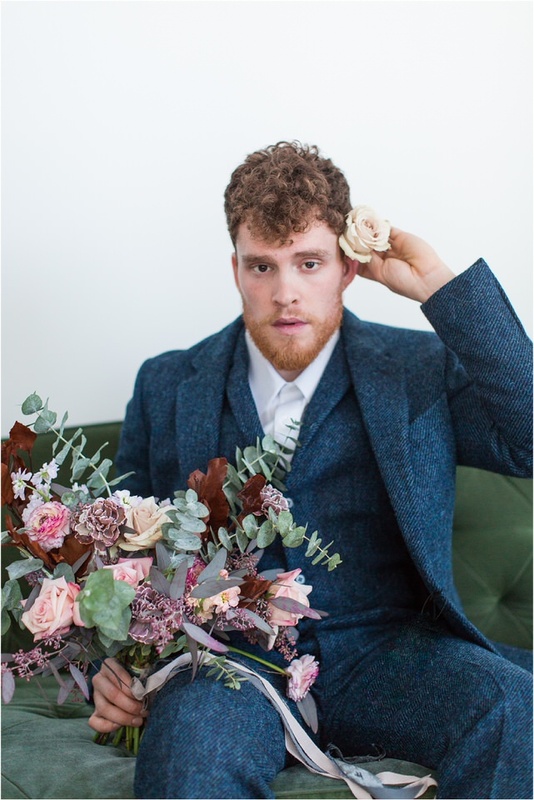 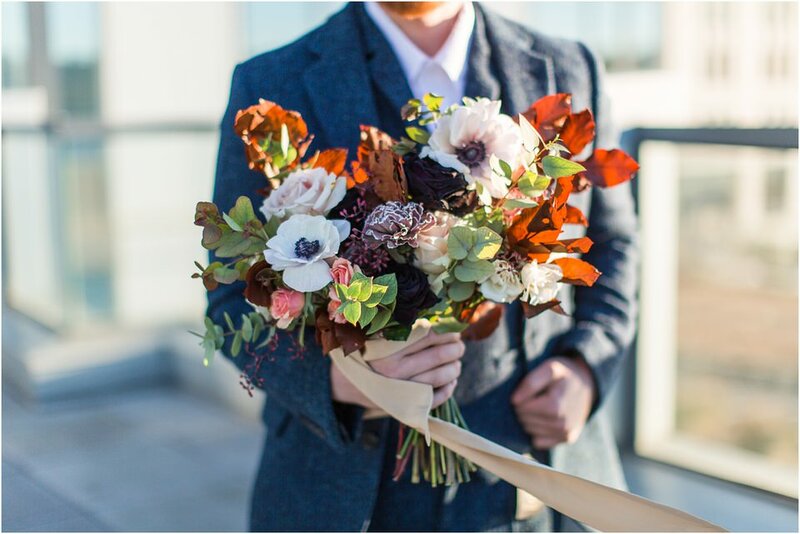 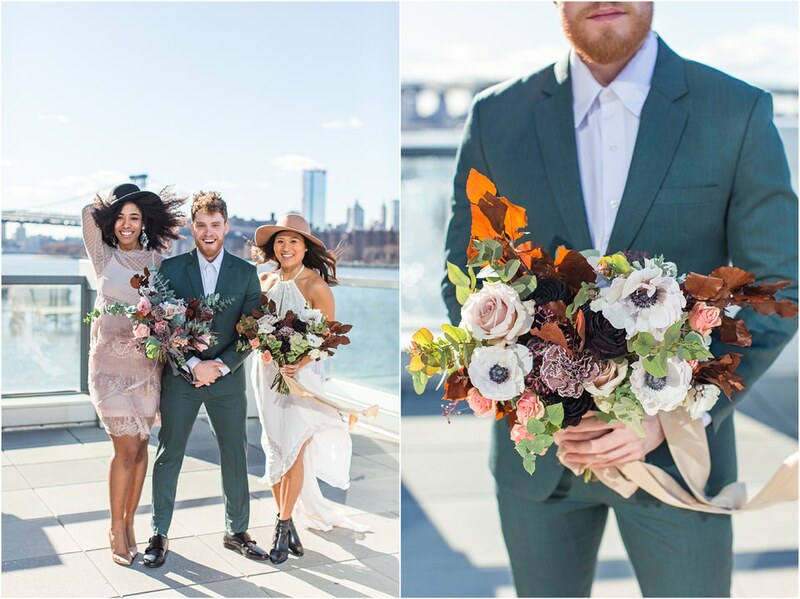 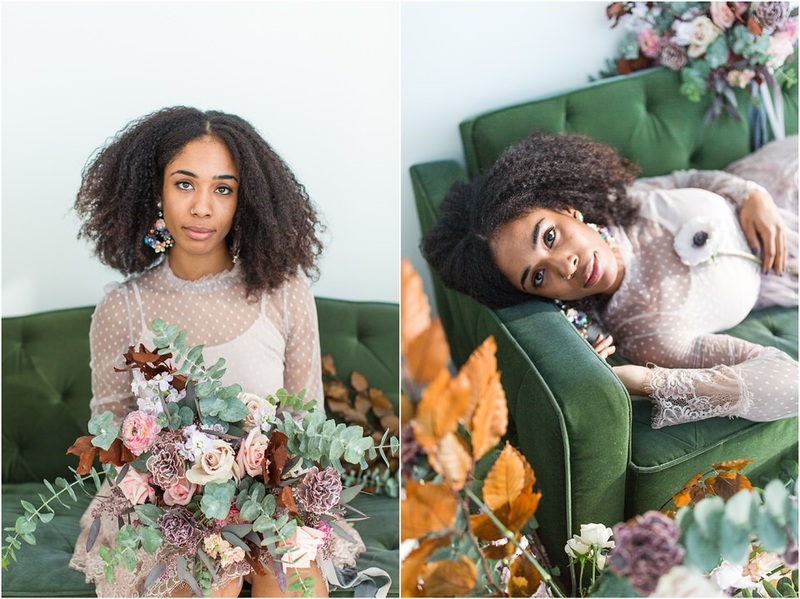 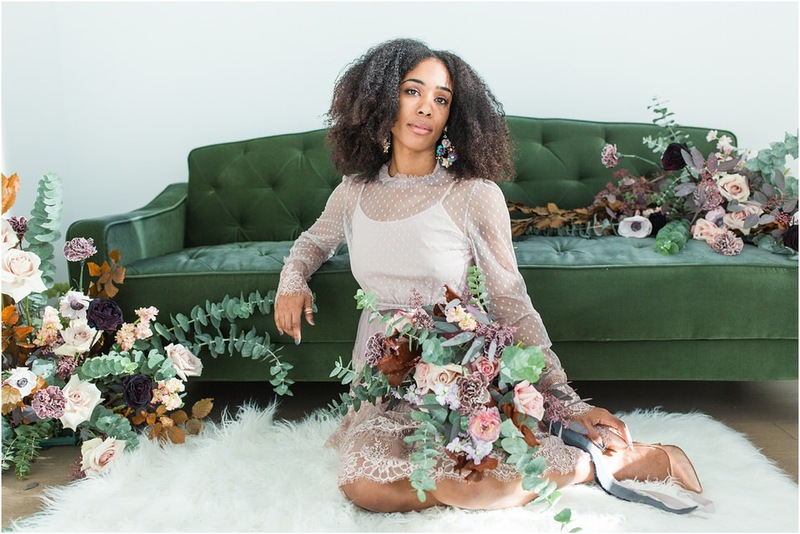 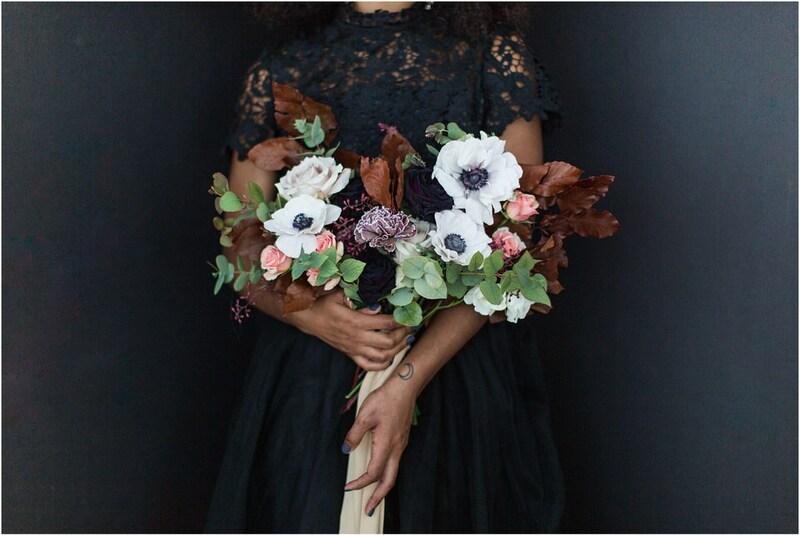 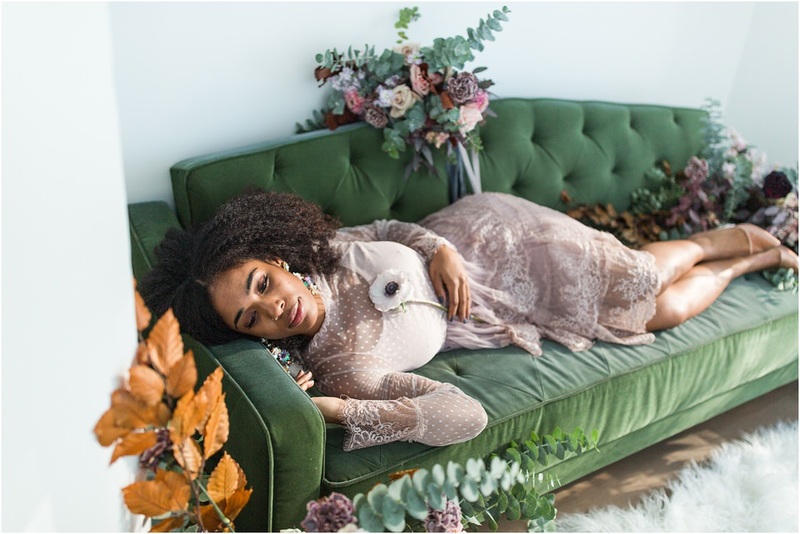 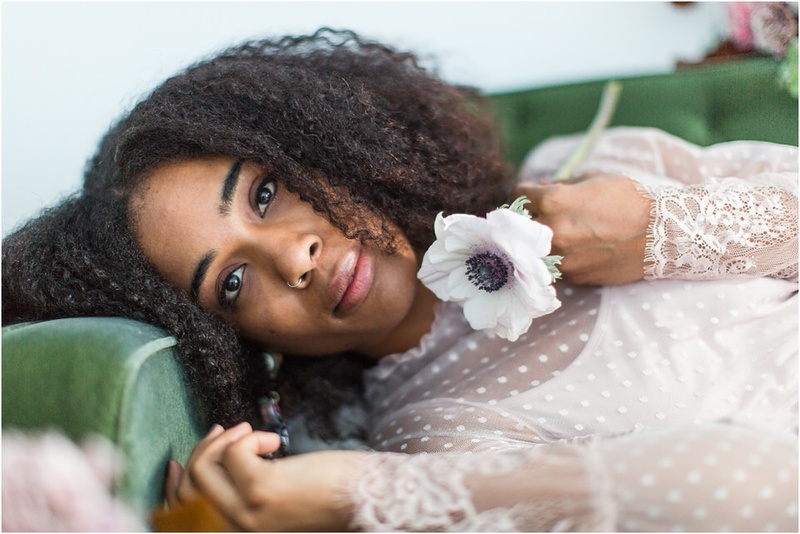 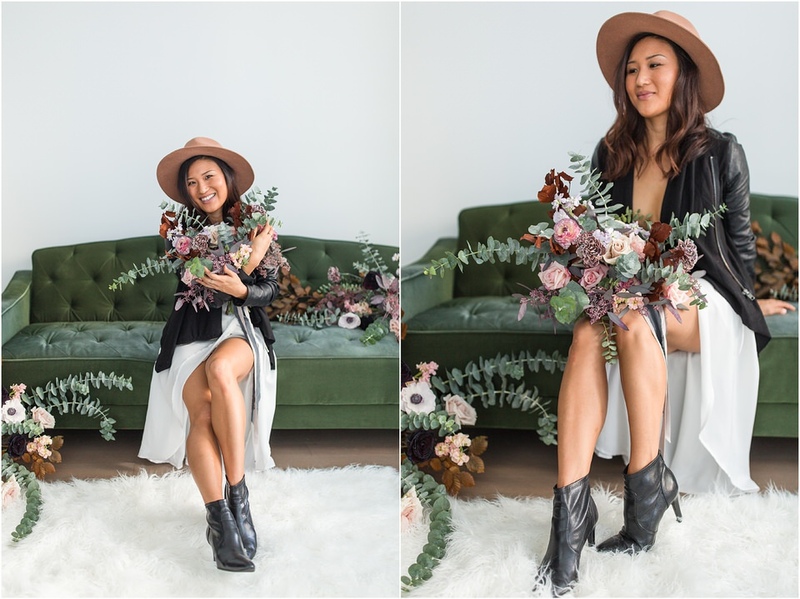 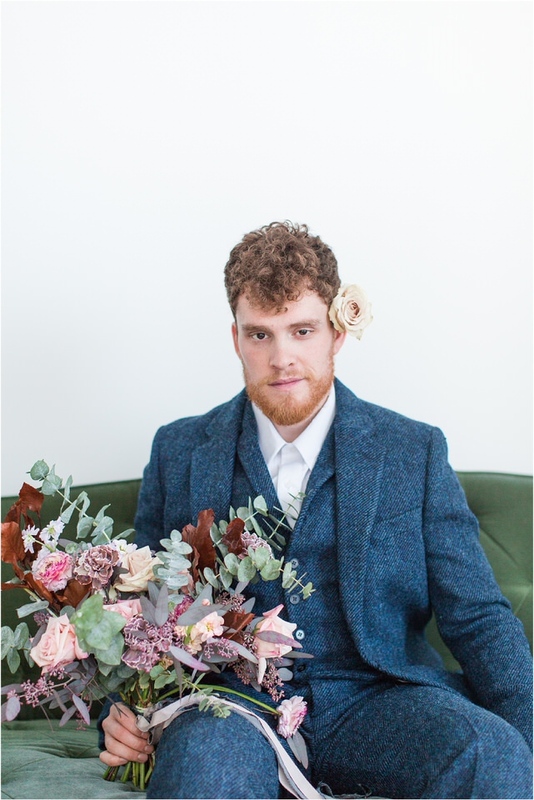 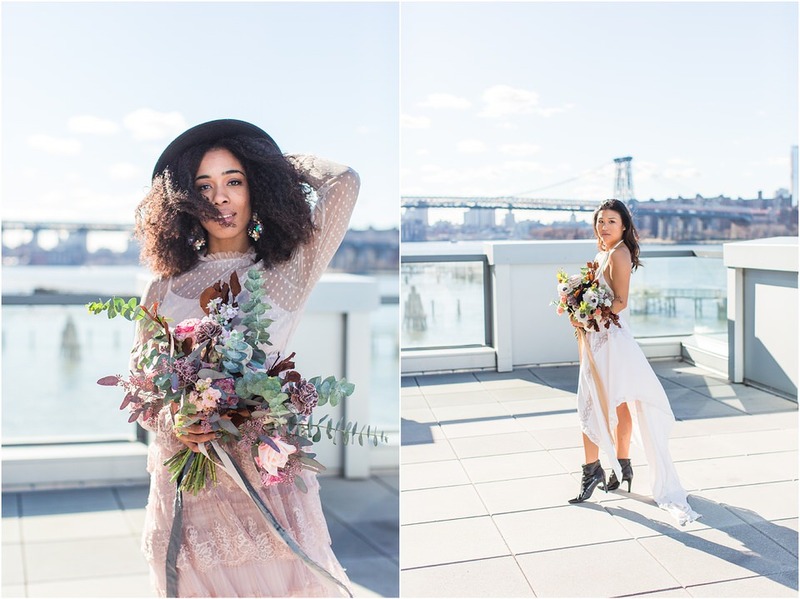 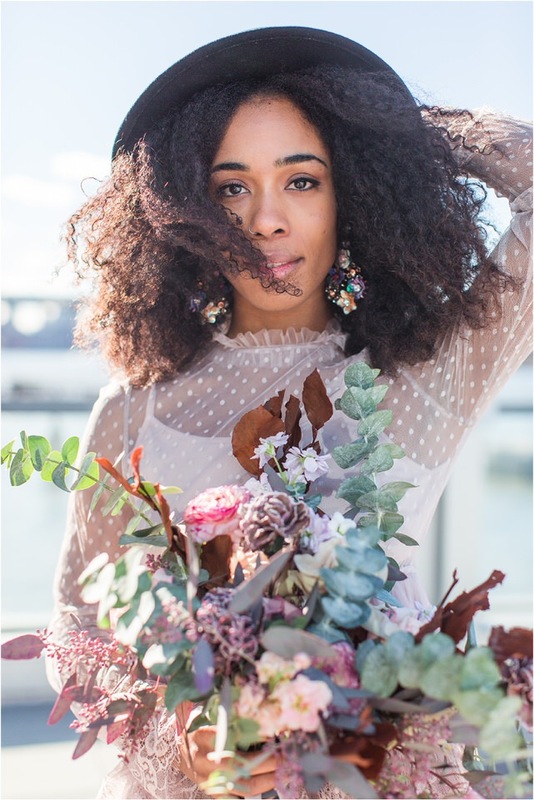 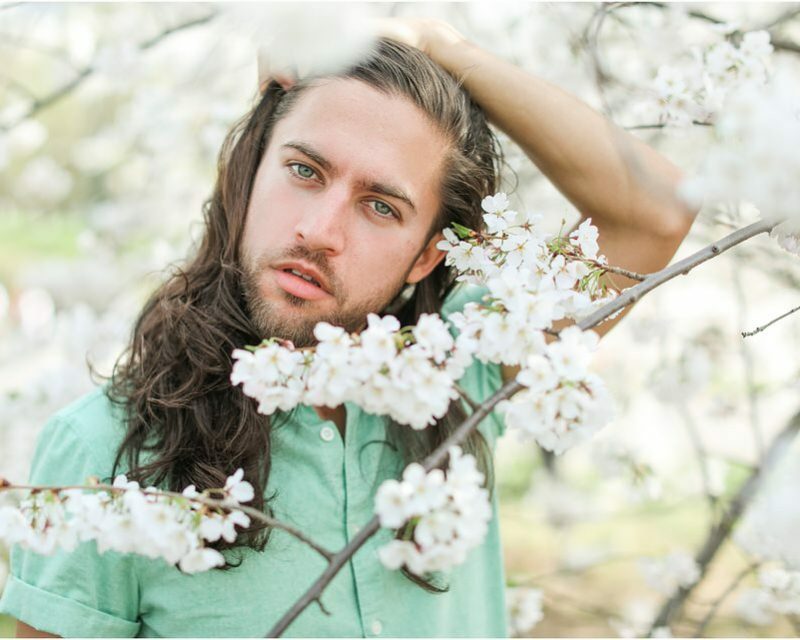 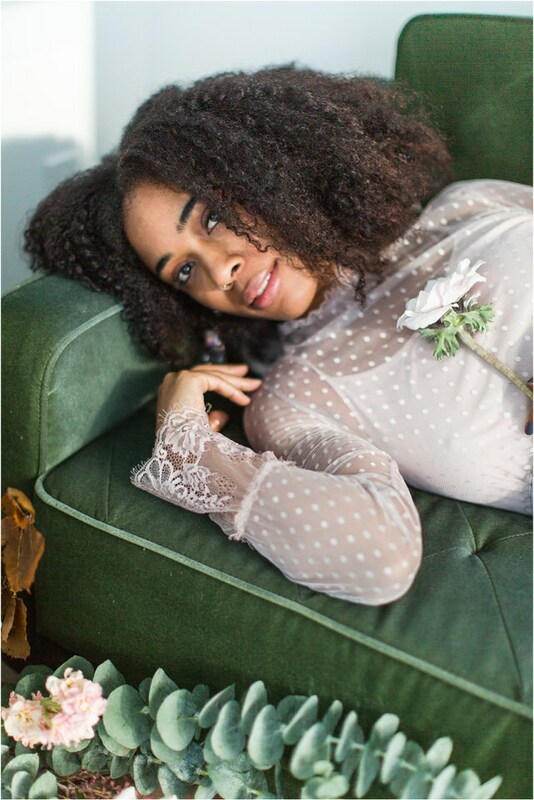 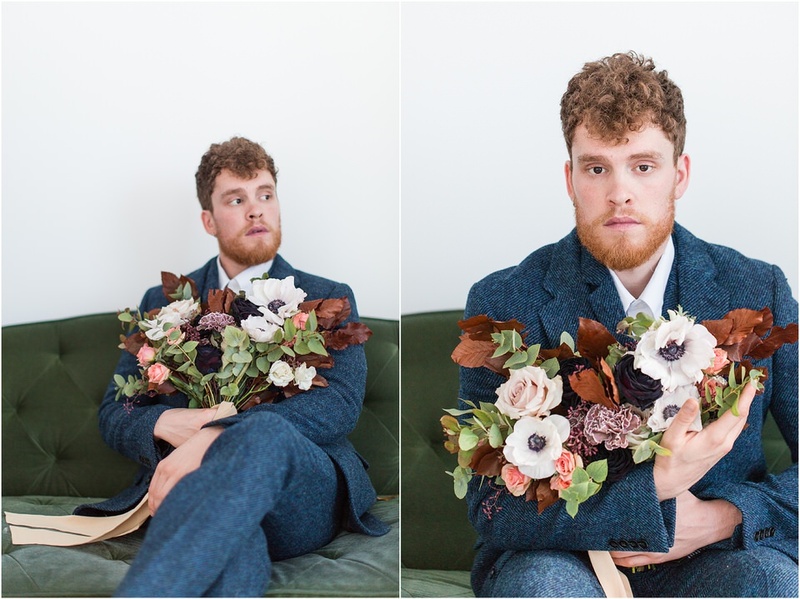 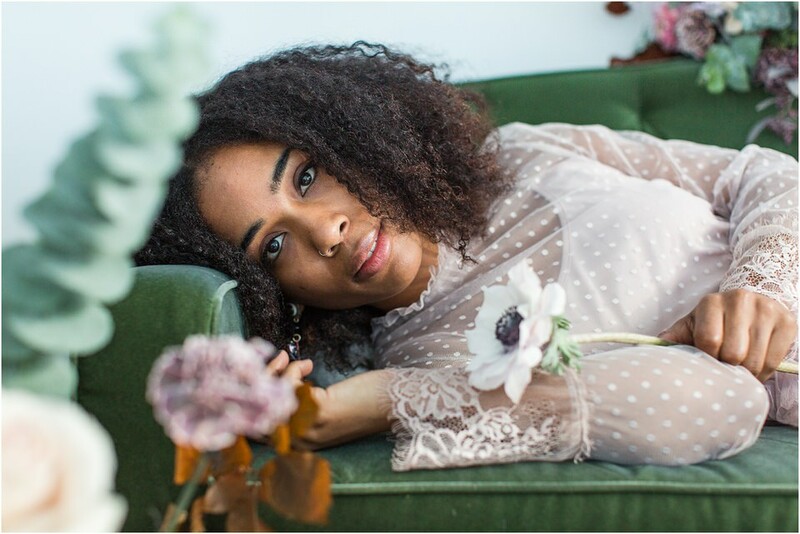 I teamed up with Bellevue Florals to do a styled floral shoot in Brooklyn and collaborate this winter. 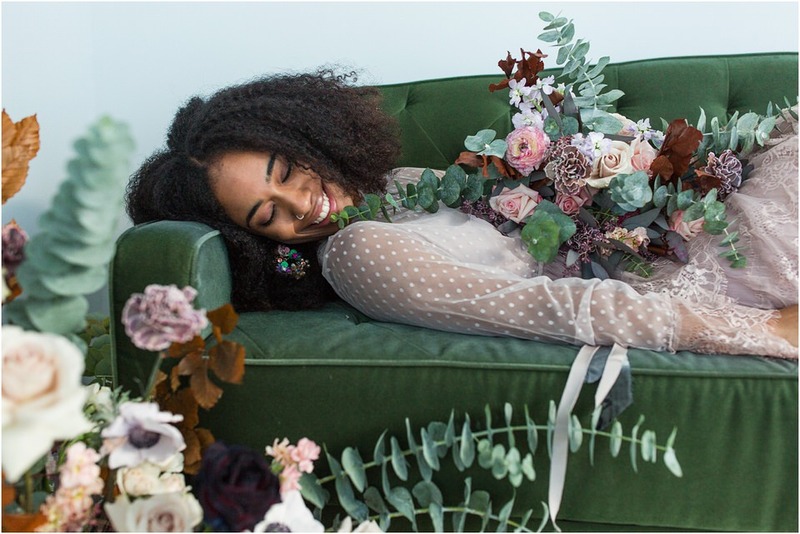 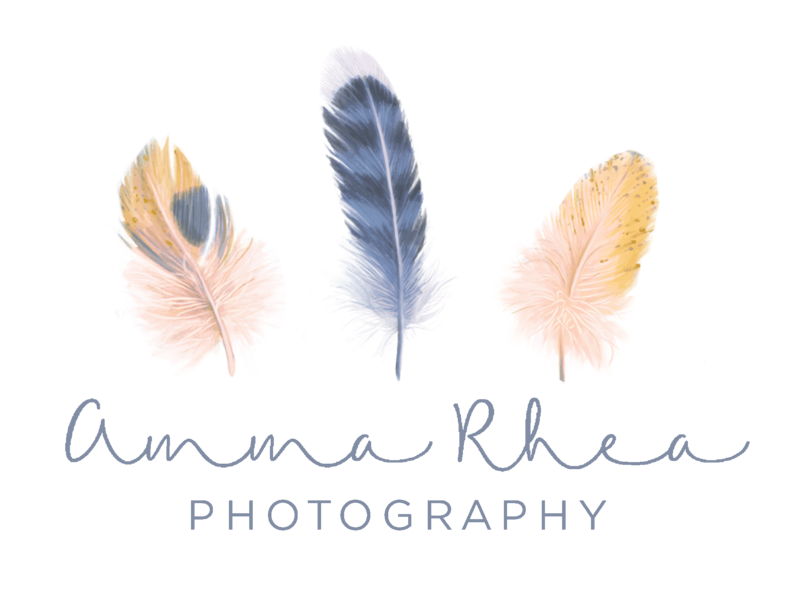 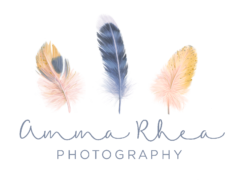 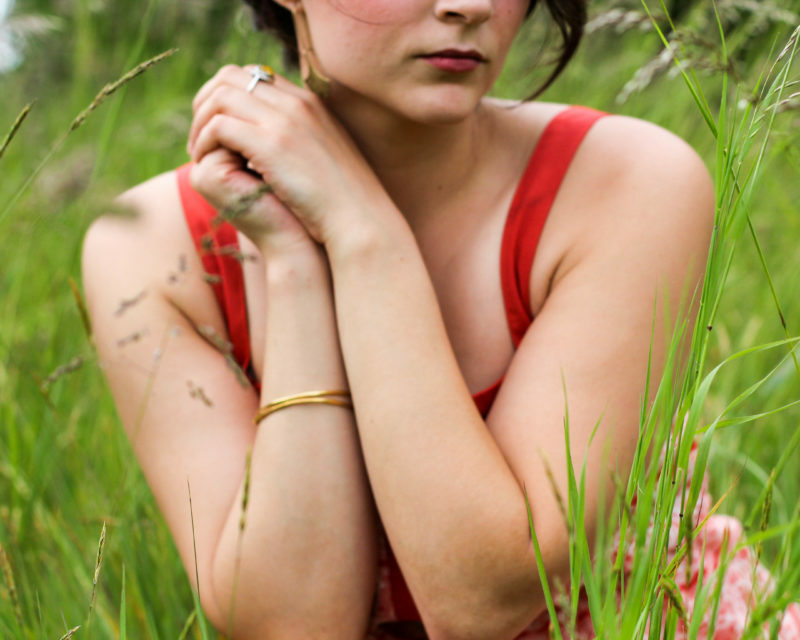 During the slower months, it’s always a joy to be able to be able to connect with other wedding vendors and work together towards a dreamy wedding shoot. 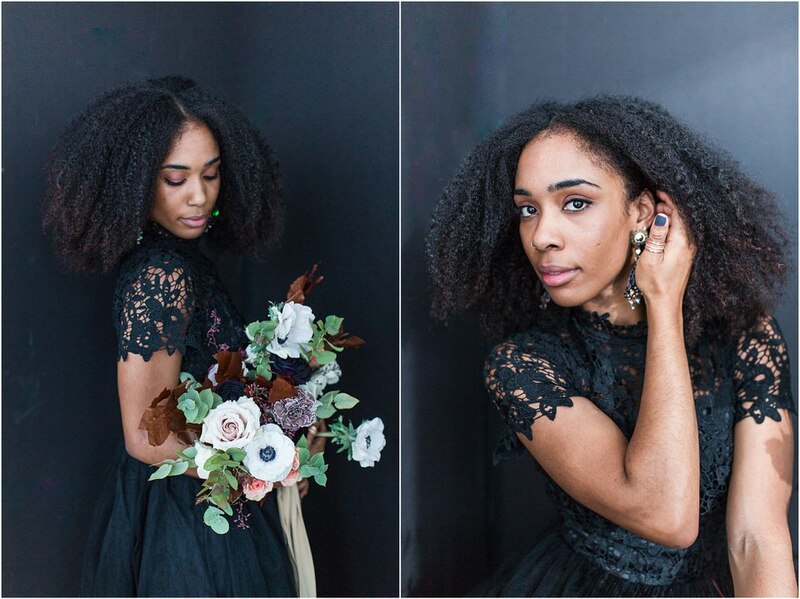 Christina flew from California and we decided to shoot in my studio in Williamsburg, NY. 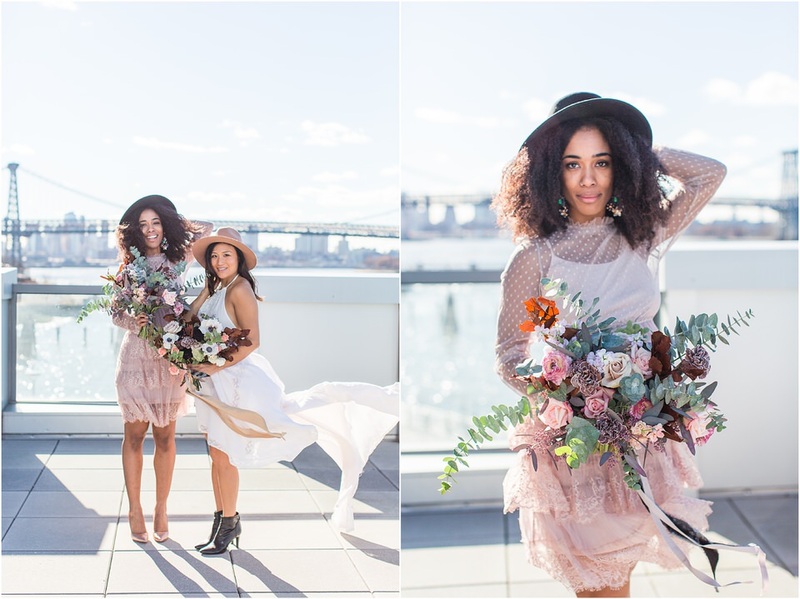 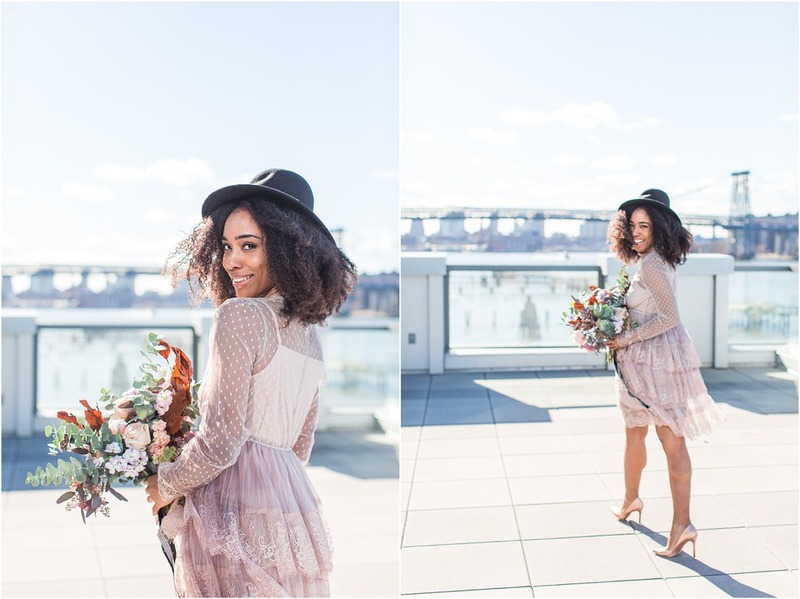 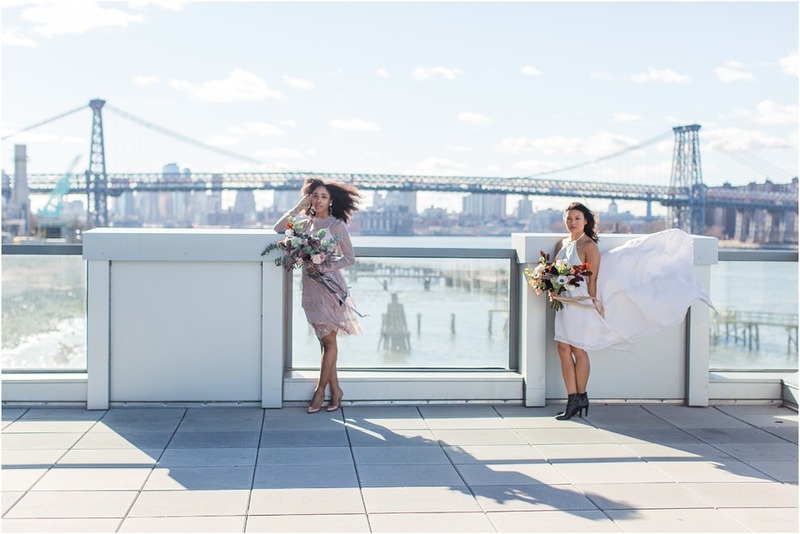 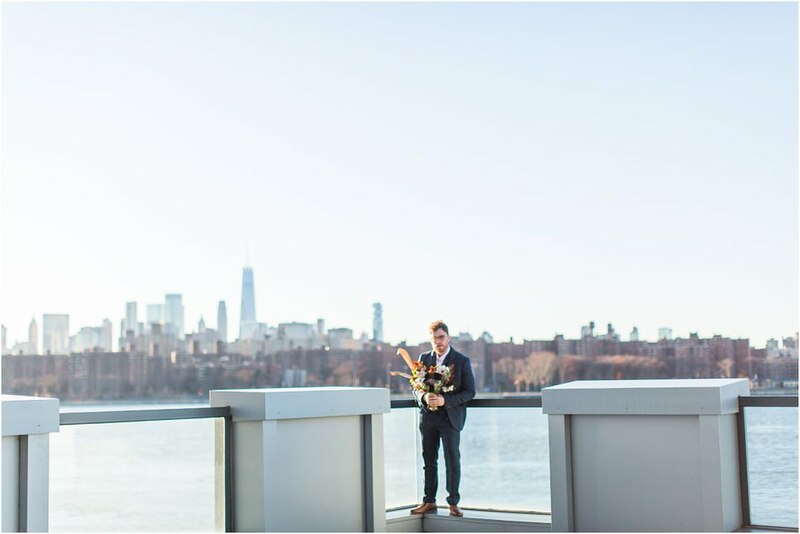 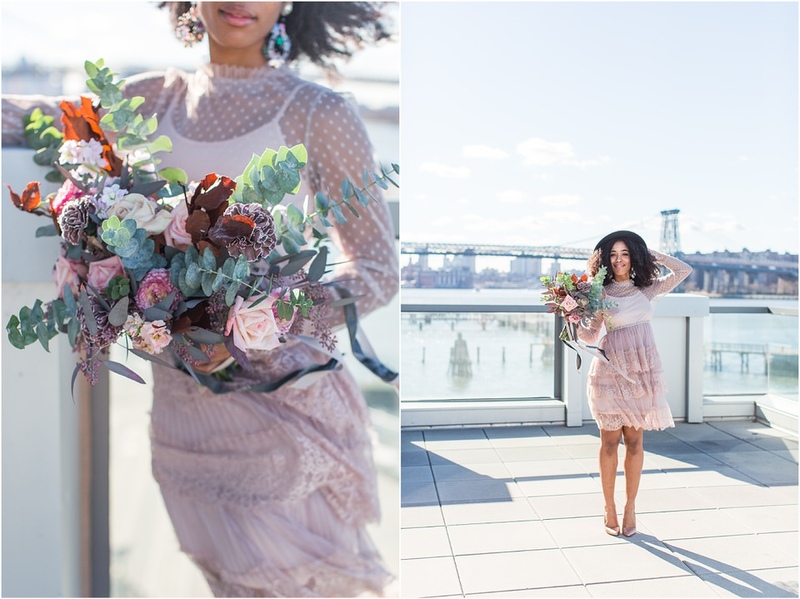 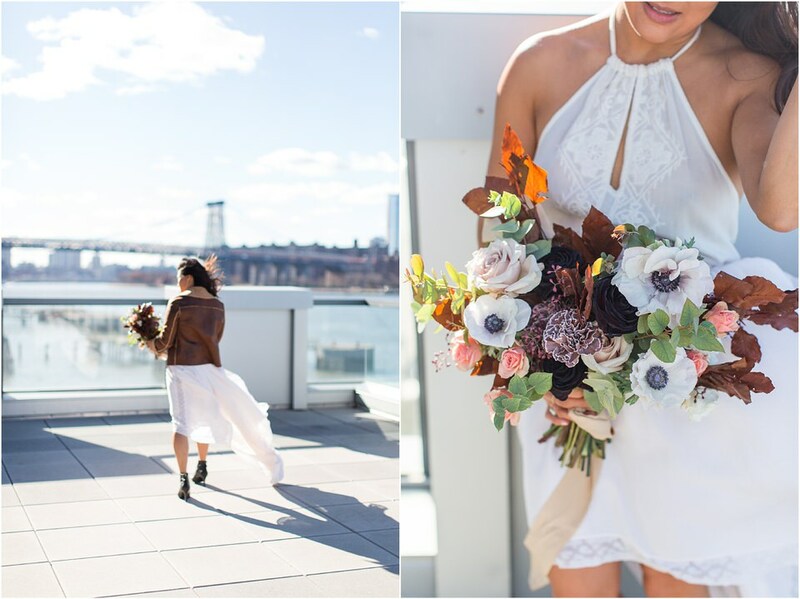 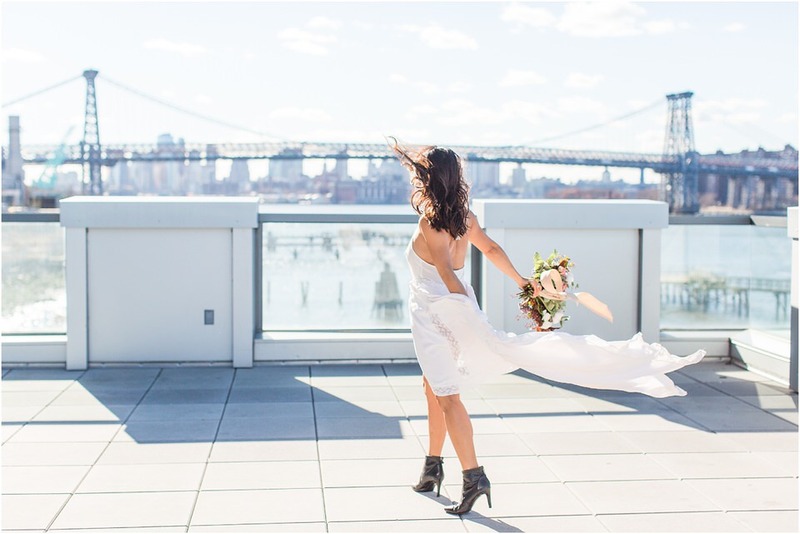 We hired lovely models to showcase the flower arrangements and shot on the rooftop with a view of the Manhattan. 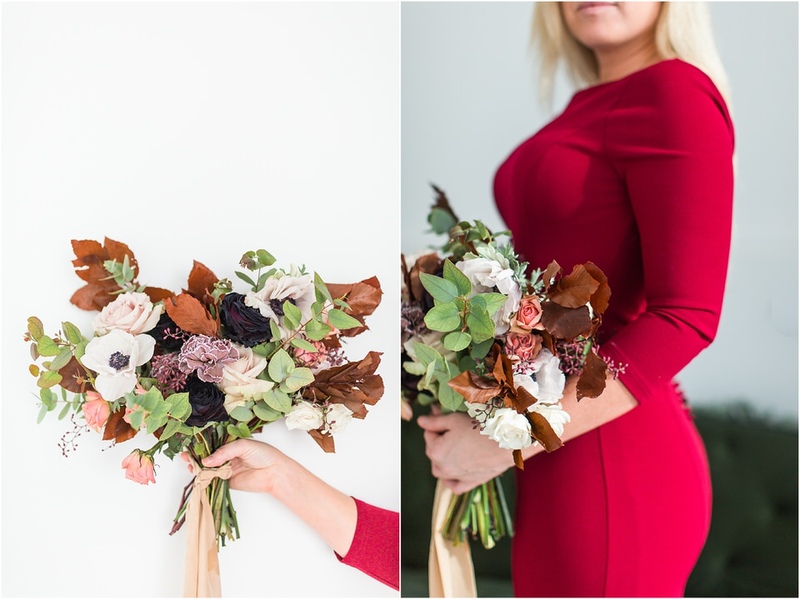 Hiring the right florist for your wedding day is so incredibly important! 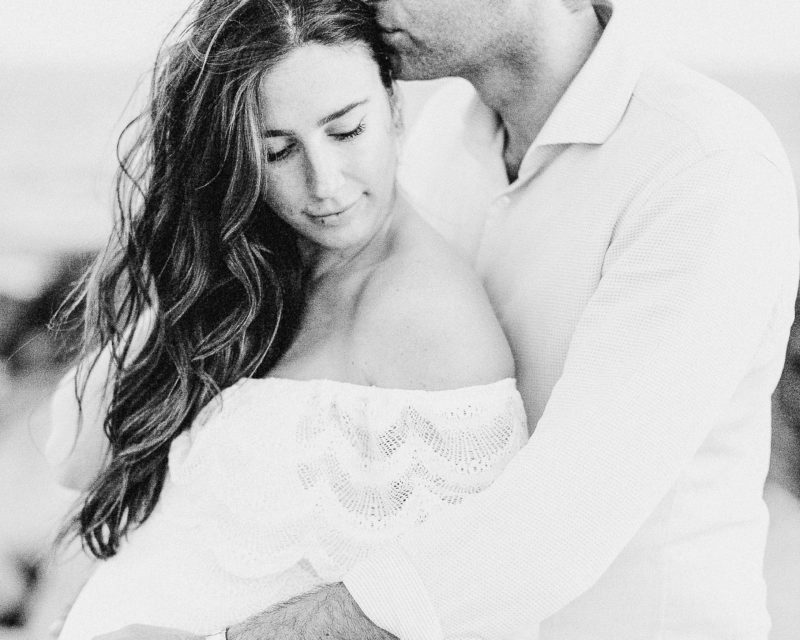 In my opinion, it is what can make or break your wedding day.